Computers are shrinking is size daily which means less room for antiquated connections. With the rise of USB, DB9 Serial Connections have become even harder to come by on new computer systems. This is where USB to DB9 Serial Adapter comes in to play. By converting a USB Connection to a DB9 Serial Connection you can make use of older equipment that still relies on a DB9 Serial Connection so there is no need to worry about upgrading to newer equipment. 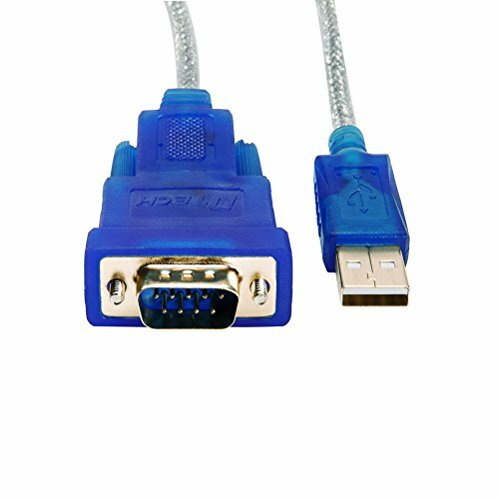 Function: RS232 DB9 port, applied to PLC, Programming machine, Punch machine and other devices with serial port. It is designed with a high performance quality processor chip (FTDI Chipset) which makes this USB to RS232 converter one of the most reliable adapters on the market. 16 feet (5m) serial cable is long enough to provide more placement choices for your devices to reach to a place needed.